With an appearance this weekend on the BBC Introducing stage at the Reading and Leeds festivals and a catchy, Britpop-channeling debut single just released, UK indie-dance quartet Viola Beach is one to watch. 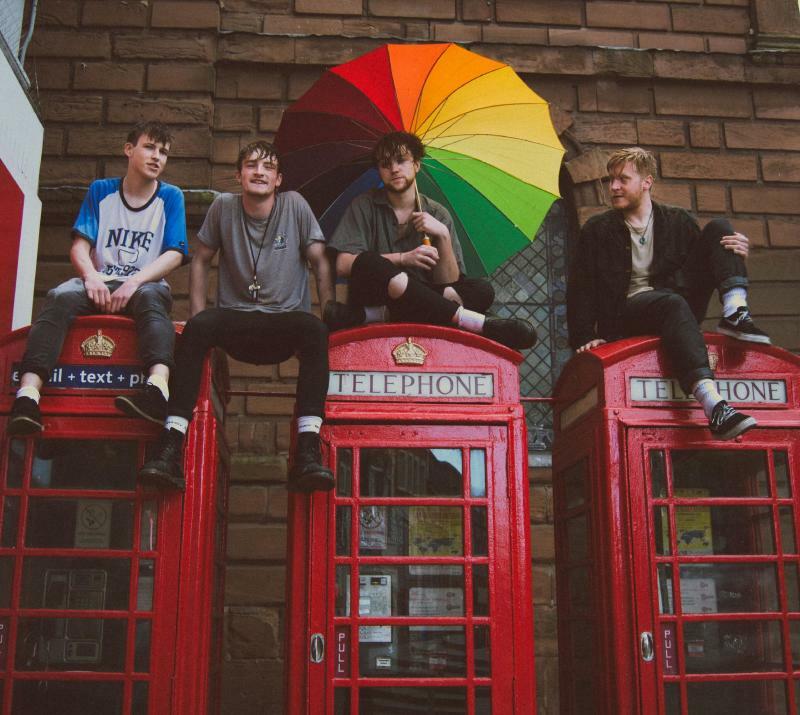 Based in Warrington, Viola Beach is Kris Leonard (guitar/vocals), River Reeves (guitar), Tomas Lowe (bass) and Jack Dakin (drums), a relatively young foursome with a following in the North West of England and just a few gigs and some national airplay under their belts. Their fame is likely to grow as they begin to attract more buzz with their first single, the shows at Reading and Leeds, and an upcoming round of UK tour dates. The band evokes the dance-infused Britpop of the 1990s in their debut single, "Swings and Waterslides," which has critics wanting for more. "The track serves as the perfect introduction to the band's sound with a mix of both thrashing and jangly guitars keeping the track feeling upbeat and summery with a distinctive rock edge," says Beat2aChord. Little Indie Blogs called the track "a fizzy, infectious Britpop romp," reviewing, "Its vibrant style and jangly guitars are pinned together by 19-year-old Kris Leonard's vocal, along with a bit of swagger and a lot of feelgood vibes that are just the right combination for some lively action." "Swings and Waterslides" can be heard on SoundCloud and came out Friday on Spotify and iTunes. The band will soon be recording more material with Communion Records founder and producer Ian Grimble (Catfish & The Bottlemen, Mumford & Sons). From September 5 through October 31, the band will play dates around the UK, including shows in Leeds, Bristol and Manchester.